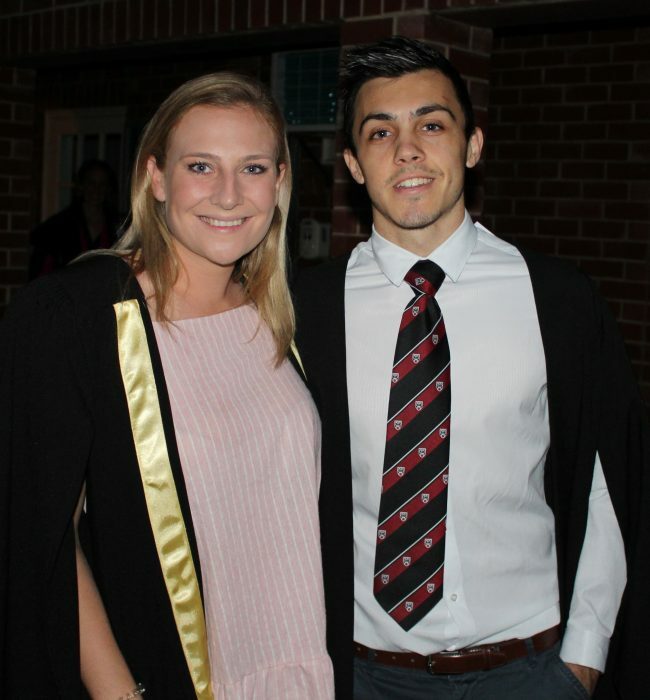 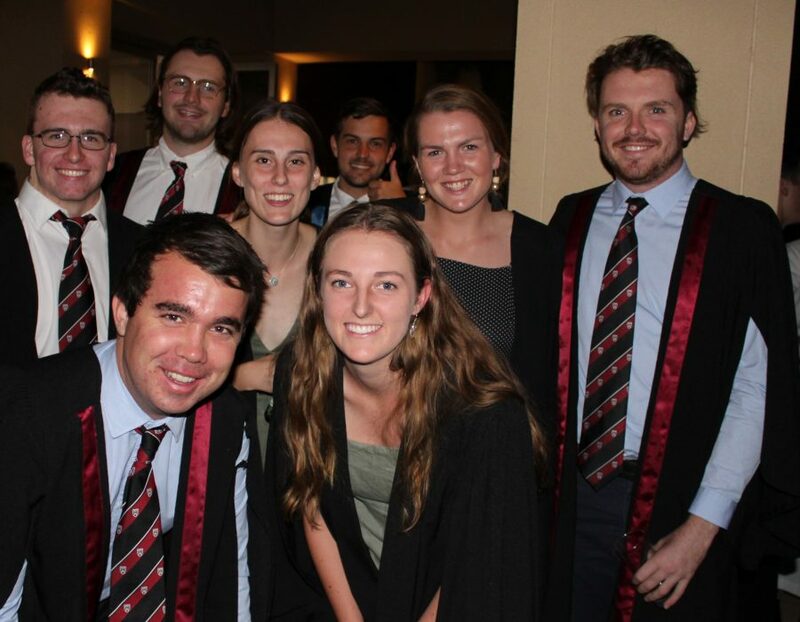 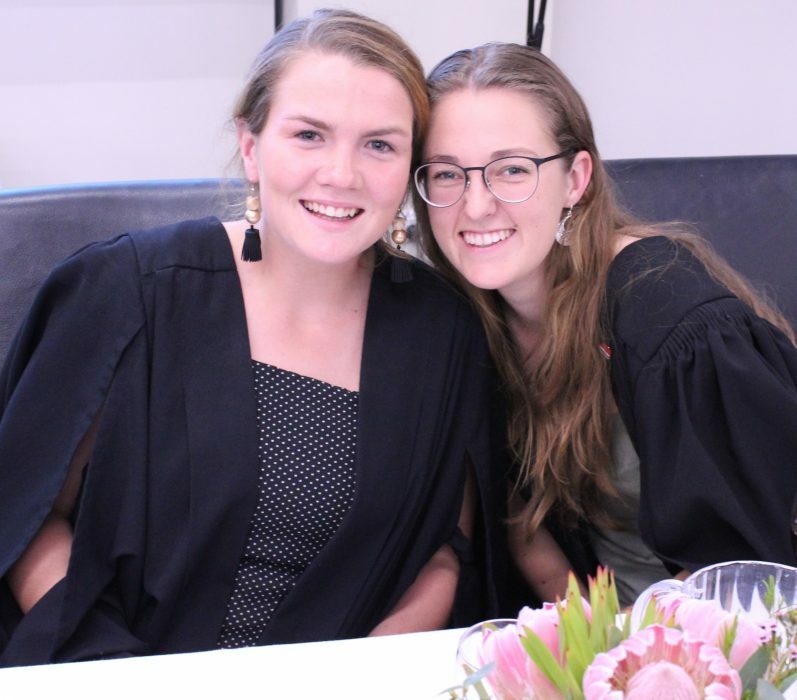 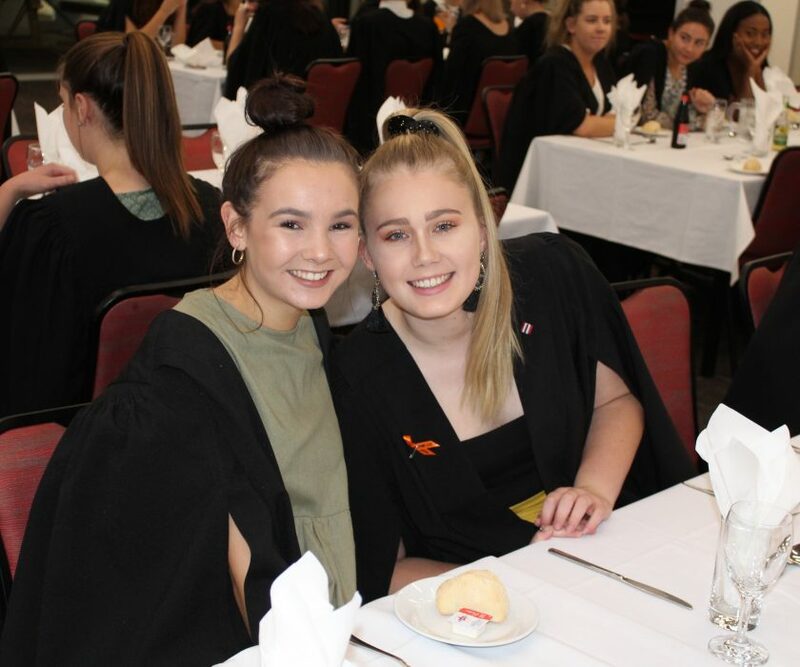 A former practice of Aquinas College was reinstated this month when Eliza Boulton was presented with her Bachelor of Human Movement hood at the formal College Dinner to mark to start of the second term. 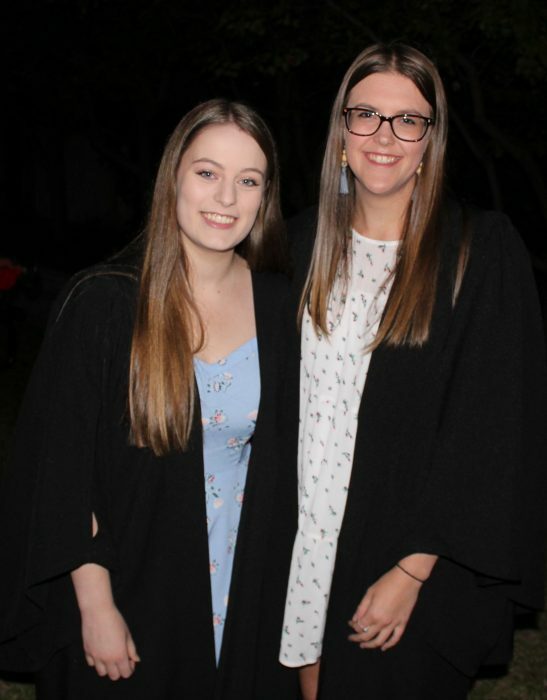 Eliza, who is also the Student Club President for 2018, completed her under graduate studies last year and took part in her graduation ceremony at the University of South Australia during the mid-semester break. 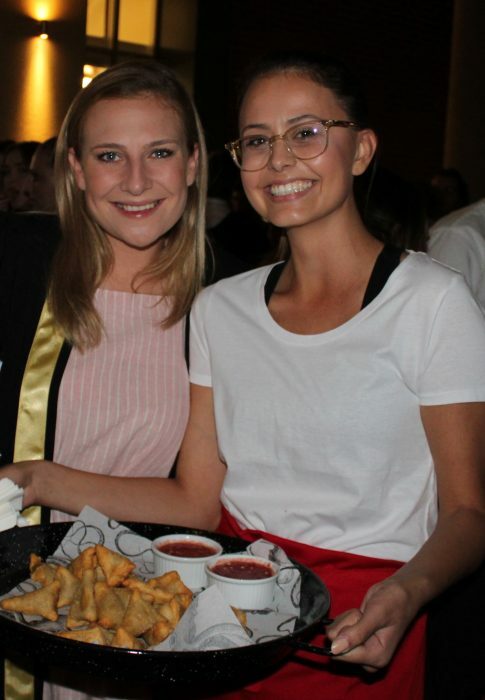 This year she is studying for her Masters of Teaching. 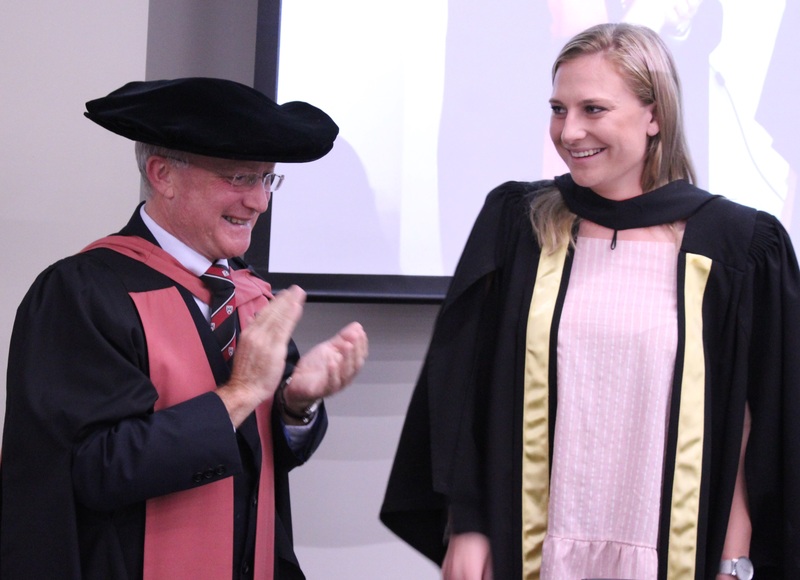 The College Rector, Brother Michael, said that it had been the past custom at the College to gift a bachelor’s hood to any students who graduated while in residence at the College. 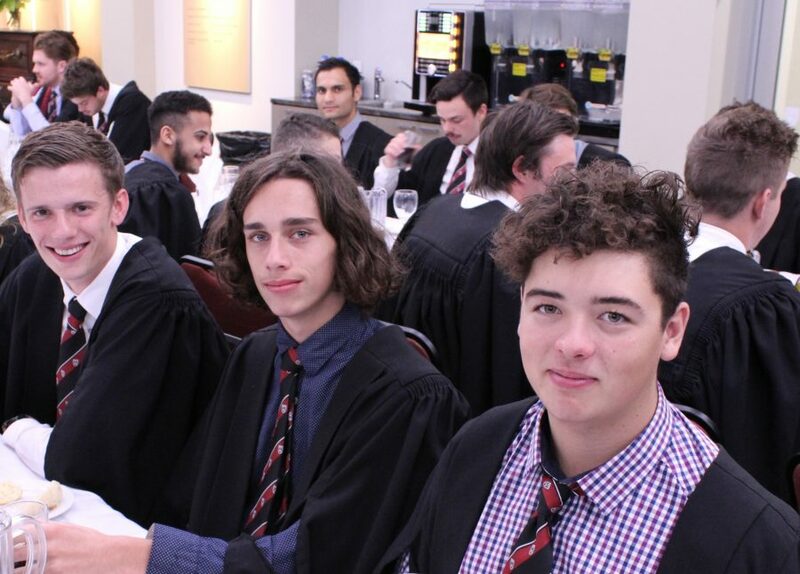 “In reintroducing this practice, we are doing one more thing to recognise and honour academic achievement at Aquinas,” said the Rector. 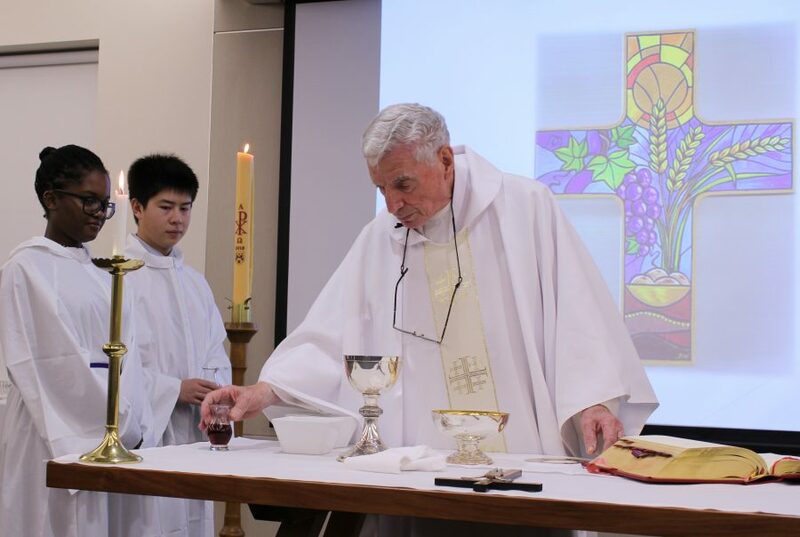 Brother Michael added that students were now moving into the most focused part of the semester, with most of them in the midst of completing major assignments and turning their attention to end-of-semester exams.